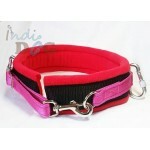 The new PRO belt from Indi-Dog! Featuring 2 side accessory rings, detatchable leg loops.. Walking belts are fantastic tools for walking one or more dogs hands free. 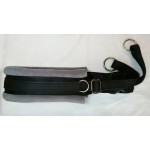 Especially popular..
A custom version of our Vari-Fit belt. Side accessory ring as standard. We recommend using with a..